More workers are planning to retire later. More than half of all U.S. workers (53 percent) over the age of 60 say they are postponing retirement, according to a recent CareerBuilder survey. Two in five workers (40 percent) don’t think they’ll be able to retire until 70 years of age or older. Financial uncertainty usually tops the list of reasons why workers delay retirement. Twenty-four percent of workers do not know how much they will need to save for retirement. Most people (31 percent) estimate they will need between $500,000 and $1 million to retire. However, currently, 23 percent of workers over the age of 55 and 40 percent of workers ages 18-34 said they did not participate in a retirement plan. “Postponing retirement will make an impact across all of our country’s workforce, along with retirement policy and financial and health care planning,” said Rosemary Haefner, chief human resources officer at CareerBuilder, in a statement. California’s Fair Employment and Housing Act (FEHA) and the federal Age Discrimination in Employment Act (ADEA) both prohibit retirement plans with a mandatory age of retirement. Employers can’t discharge or force an employee to retire just because the employee has reached a certain age. A few limited exceptions apply (2 Cal.Code of Regulations sec. 11084). 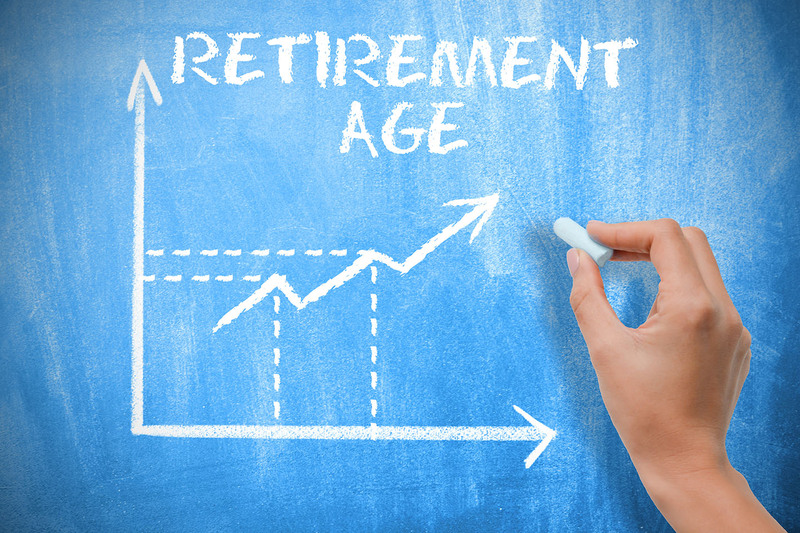 Be mindful that comments regarding when an employee plans to retire may be considered evidence of age-related bias. You can still provide factual information to employees about your company retirement plans, just don’t press employees about when they are going to retire or engage in uninvited discussions about voluntary retirement plans. CalChamber members can read more about Age discrimination in the HR Library. Not a member? See how CalChamber can help you.